NAWAZ Sharif campaigned on the promise to end load-shedding, and the PML-N’s message throughout their campaign is going to rest heavily on their claim to have delivered on this. The idea all along was to campaign on load-shedding, which had hit unprecedented levels in March 2013, then gun forward with Chinese assistance after the victory at the polls to instal as much power-generation capacity as was possible. Even before he had taken oath as prime minister, he held a meeting with Prime Minister Li Keqiang of China on May 23 (he took oath on June 5). After the meeting, a statement was released saying both countries were preparing “to strengthen their strategic partnership, expand their economic ties and promote people-to-people contacts.” In addition, it was announced that the Chinese prime minister had invited the then prime minister-to-be of Pakistan to visit China. That visit took place less than a month after Nawaz took oath. That was the first time we heard of an ‘economic corridor’ between both countries, with some sort of ‘long-term plan’ that was in the works. In November 2014, the first MoU was signed in China between Nawaz Sharif and Xi Jinping during the second state visit to Beijing, outlining all the power projects in which China would be investing. This was a parallel process to the one that had already been initiated a year earlier, and was called the “early harvest projects”. The list contained a string of coal, LNG, solar and hydel power projects in which China was going to invest, “following market principles”, sufficient to bridge Pakistan’s power deficit. The plan from here was to gun ahead with the early harvest projects, get them up and running before the next elections, then return to the electorate and say ‘did I not promise to eliminate load-shedding? See, I have done so. Now give me your vote one more time, and I will eliminate poverty, hunger, unemployment’, and so on. This is why the early harvest projects have been pushed through with such tremendous speed. Taken together, they had added around 10,000MW of generation capacity to the system, the single largest spurt of power-generation capacity enhancement the country ever saw. All seemed to be going according to plan. Two LNG terminals were commissioned in Karachi, to provide fuel for the three LNG-fired power plants coming up in Punjab. Not only two megawatts, but the cost of generation had to be reduced. Before leaving, they ensured that the system should keep running. Fuel supplies have been arranged, liquidity issues have been addressed with a Rs100 billion payment to various power-sector stakeholders so the circular debt does not end up choking the system at its crucial hour. The three critically important LNG projects have been fast-tracked through their technical difficulties, with the last of them about to come on-stream any day now. Today, the power system is pumping out more power than it ever has before, beyond 20,000MW every day. But then, almost like a bad dream, there it was only days after the handover to an interim government: large-scale load-shedding (albeit in a more limited area than in 2013, when it was countrywide). What went wrong? 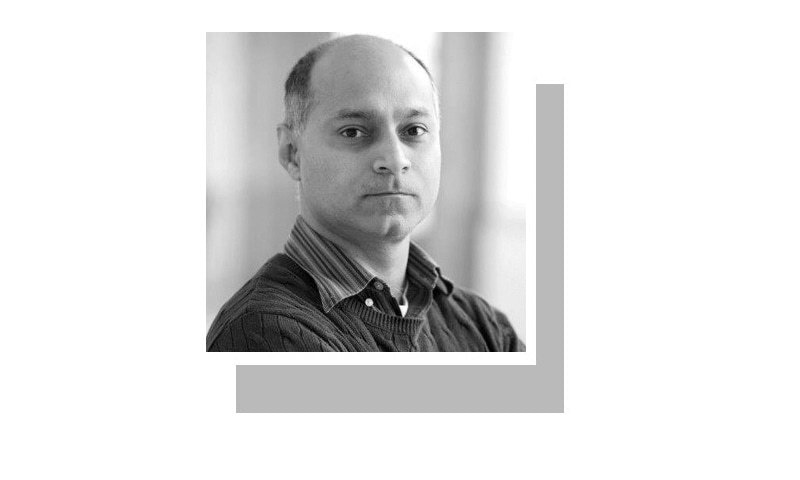 Quickly Nawaz sought to clarify, “we are not responsible for load-shedding any more” since it is the job of the interim government to operate the system they built. Low water inflows into the dams had limited hydel generation, apparently, and some of the LNG plants were about to come online. The plan is sound in many ways, and might yet work. The only problem is the power sector consists of so many moving parts (generation, transmission, distribution, billing, recovery, payments to banks and fuel suppliers and IPPs, etc...) that one small thing going wrong in one place can send consequences cascading through the entire system. In the run-up to the handover, we saw an example of this when a fault in the switchyard of Guddu thermal power station plunged much of Punjab into darkness. The system has been built at tremendous cost, and an even larger investment of political capital. Now comes the hour of trial. If it operates smoothly through the summer months, and into election day, it could potentially swing political fortunes. If there is a failure along the way, either deliberate through sabotage or inadvertent (payment constraints or technical glitches), it will ruin the message Nawaz and his people are going to the electorate with. ‘We are the people who get things done, who want to work for the improvement of the country, do you not remember the hours of darkness before we came?’ they will say. ‘And they are stopping us from doing this, because they don’t want your improvement, because that imperils their own interests.’ The language of the campaign will not be about rights and freedoms as much as it will be about material improvements in the lives of ordinary people. ‘Who has delivered more for you,’ they will ask, ‘them or us?’ Nawaz’s bet is that the answer the electorate gives to this question will determine the outcome more than all the shenanigans, all the defections, all the judgements, and all the squawking on the nightly talk shows. Nice article. But I am a bit surprised how come PMLN or Nawaz n Shahbaz thought even 20k Megawatts wl b enough? It is known that the demand is around 26k in summer months. It was always going to fall short. Also, almost no steps taken to modernize distribution network that has caused a lot of energy to be lost. So till 5 years their slogan was "we are providing you with electricity" and when something goes south, "nah! its not our fault". NS and their govt. never accepts what they couldn't deliver but wants to be in power always. They should understand this is not going to work in the future. Their strategies should amend. PMLN is going to win elections on basis of increasing power generation capacity by 10,000 MW along with achieving other Macro Economics milestones. Thank you NS and PML(N) government for organized, systematic and meticulous approach to lowering power shortages as much as possible, even if you might have benefited personally in the process of targeting this sector of public service of immediate attention/ importance. His government deserves to be re-elected. They can sabotage everything and will do. Plan is to put Nawaz in jail so that he cannot campaign. 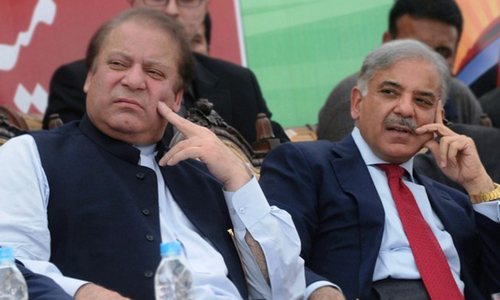 Sorry, 'Power' alone cannot save power of Sharifs. This is oversimplifying things which are otherwise so complicated. The days of Sharifs are over. If not, there is something seriously wrong with the people of Pakistan. In the dirty world of politics, sabotage can never be ruled out. When Sharif was elected in 2013 he knew he had to do something fast about the poor power distribution system in the country. It is what people demanded and the lack of power was crippling the economy. He had no choice but confront the problem and promise to end load sheading. Nawaz sought to clarify, “we are not responsible for load-shedding any more”. He put the system in place but did not understand the remaining weaknesses and lack of maintenance of the electrical grid. It is not just the electricity. Anything big that we see in Pakistan is done by NS. His only crime is that he belongs to a rich industrialist family. If his father acquired a few flats in London, that does not mean we should multiply all his achievement with zero. By the way, many people own bigger properties than NS. Some people want to eradicate him because he appears to be biggest hurdle between IK and Prime Minister House. Solar-PV on every roof would be a simple, economical, long-term solution. Essentially eliminate demandcfor residential power during daytime summer AC needs. Generate a little bit for hot nights. Commercial [office] use is daytime only. Industry, what little there is can also do solar, and system can provide stable power for factories!! Easy!! Clean air. No recurring operating expense of fuel. Solar payback in 5 years. As for power, as acknowledged and repeatedly pointed out by those who understand, it is not generation alone. And it had proved that repeatedly. Same is roads and other mega projects. After spending bulk of the resources on yet unsatisfactorily delivered 'promises', other most basic needs of the common man, what use is the most expensive power, electric or otherwise, like political. There is no substitute for realism and that is always at the most fundamntal levels that affects the most like clean water, air, affordable healthcare, education, etc. Still one should expect against all odds that the next government should realize the task at hand and be humble enough to take along the public with true picture to make genuine progress and not just make believe claims castles in air. Their focus should be at the fundamentals starting with education b/c ignorance is the biggest curse on any nation. PMLN has made sham slogans, if electricity can be generated by slogans only, it could have worked, But it requires more sane projects then only building expensive and substandard thermal plants. these plants pay well for kickbacks but failed to generate and operate consistently Nandi pur, bhikki, and QA solar park all are mega turn offs, when on paper they generate huge electricity but in operational mode they dont even generate 20% of the claims.in 5 years 1 or 2 medium sized dams could have given much needed cheaper and clean energy. but alas. Khurram Hussain never fails to delight the readers with his knowledge filled articles. I would like to add that in May, significant part of June and few fall months, the hydroelectricity generation drops significantly, because the water level in the dams hits the dead level. In a few of the same months when hydro electricity is not available at maximum capacity, wind energy also goes low. If we don't want shortages, we need thermal capacity (RLNG, Coal, FO, Nuclear, etc.) being able to take 100% load. Secondly, much of the new thermal capacity is not yet available, but will be soon. Those who are criticizing for lack of distribution and transmission system upgrade, need to understand that all this mega infrastructure development needs long periods of stability which unfortunately is not there in Pakistan. China's State Grid is already working on Matiari-Lahore 740km transmission line which will be Pakistan's first 660kv line. You can imaging, just procuring a meter wide strip of land for 740km is a daunting task. it takes time. The most important thing is that N league put the country back on track on multiple fronts in the energy chain. First time, a comprehensive program of energy sources diversification could be seen in action. Yes, LNG is expensive but it is still better than RFO on which Musharraf and Zardari worked for 15 years. First time, an allocation has been made for Diamir Bhasha dam after China and WB declined to finance. All it needs is patience and stability. My vote is Nawaz. Rs 100 billion to pay off power-sector stakeholders so the circular debt doesn't choke . Thats the borrowed $1 billion dollars from Chinese banks as a commercial loan at 5.6% .Obviously the interim setup cannot follow through on the same trajectory. One small thing going wrong in one place can send consequences cascading through the entire power system. It does not take an electrical engineer to realize that. @Ameen Chilwan ... Of course you are quite right. It says on my electricity bill "exempted" from loadshedding. 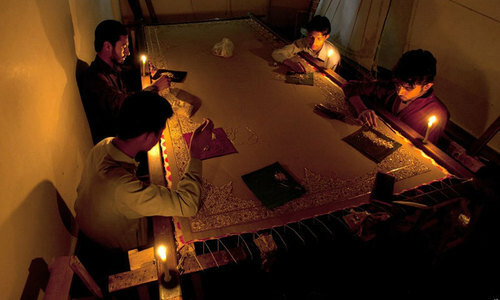 However, we are facing 3 to 4 hours of loadshedding a day. @Kamran: You should award credit where due. We have several power stations in place and clearly visible along with rapid pace on CPEC game changer. You will only see power in every corner of the country when vehicle to transfer power, i.e. UHT power transmission network is also completed. This is a technical issue which should be left to interdependent power experts with no political linkage. We should also appreciate developmental achievements in Punjab without comparing with other provinces who should play only their own music. sad to see this writer stray from his niche. we have more than enough writers writing about politics. very few write about economics. The rate of power theft is more than power generation and due to unchecked population explosion indirectly, load shedding will never cease in pakistan. I don't understand technical aspect of matters but it does appear obvious to me that in last 5 years loadshedding has decreased perceptibly. But is it enough to convince me as a voter to vote for PMLn? NS during his present tenure did excellent job in reducing electricity load shedding and restoration of law and order in the country despite severe constraints of PTI Dherna and then Panama Leaks. People at large understand it and therefore PMLN is confident to win the election 2018. Checks and balances should continue to filter out the Corrupts who soever he may be.